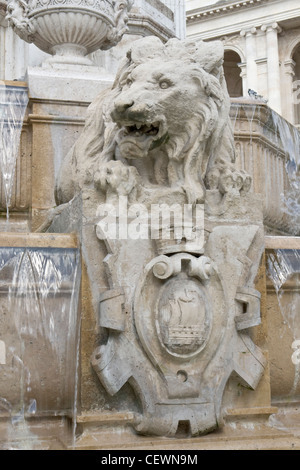 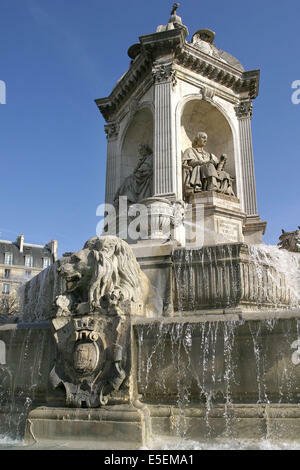 France, Paris, Place Saint-Sulpice, Fontaine des Quatre Points Cardinaux, a stone carved fountain. 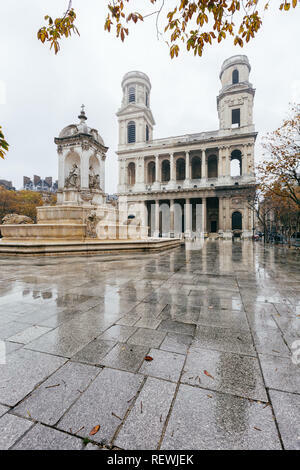 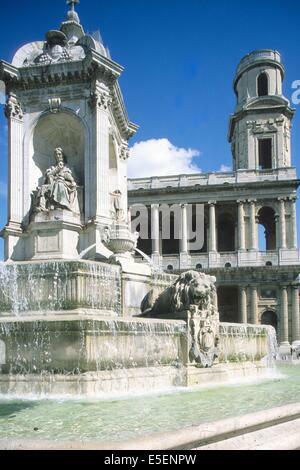 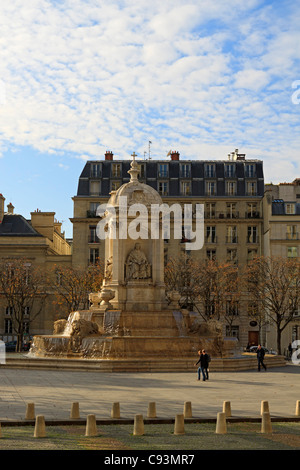 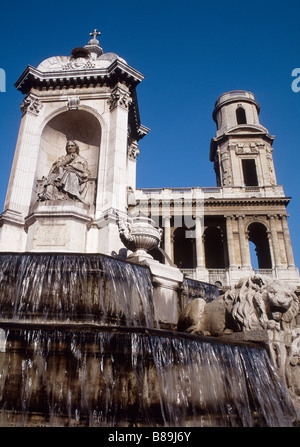 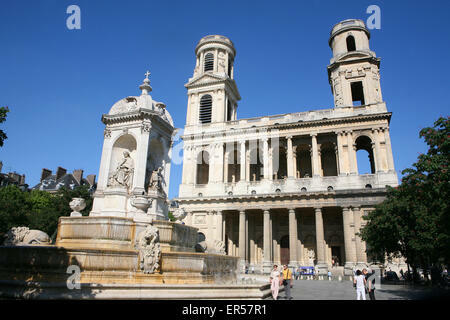 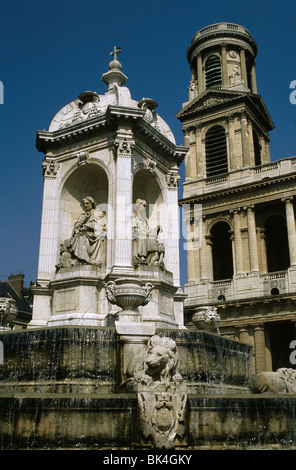 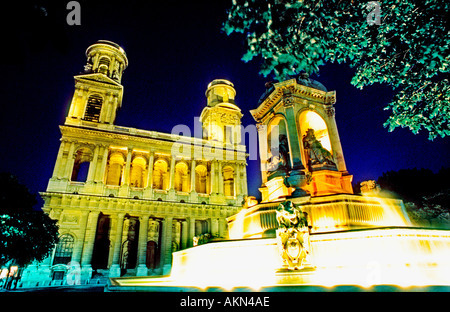 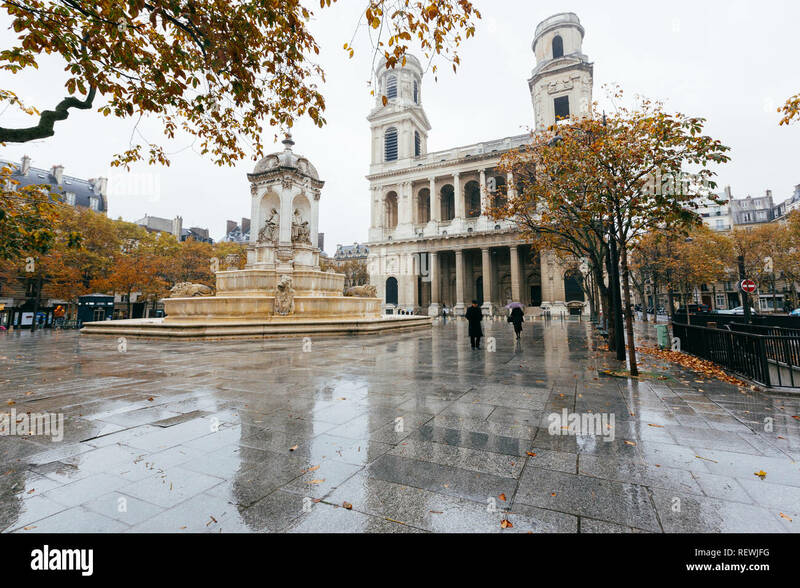 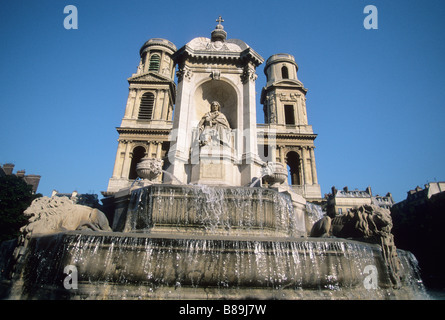 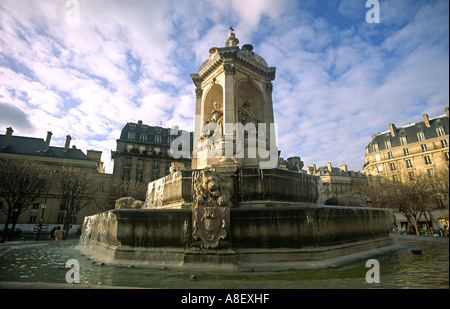 St Sulpice square and fountain, Paris, France. 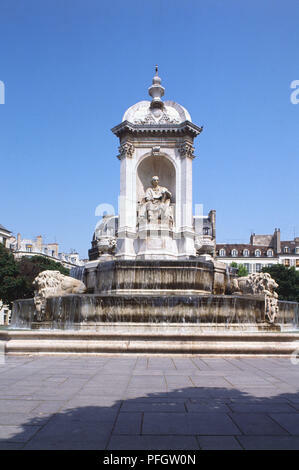 The fountain was built in 1844-48, designed by the architect Joachim Visconti.